Junk Food Jones: Valentine's Day! Ever since that time back in the Middle Ages when a guy named Saint Valentine figured out that he could trick women into pressuring their significant others (or dudes who wanted to have a significant encounter with them) into buying more stuff from Valentine’s Ye Olde Combination Florist Jewelry Greeting Card Candy Shoppe, we’ve celebrated February 14th by shelling out big piles of cash for tons of heart-shaped crap. I don’t care about the flowers, the cards, or the over-priced gemstones but you know I love me some special seasonal junk food. Here’s the stuff I dug into this year. Rest assured that what I lacked in variety I more than made up for in volume. Russell Stover probably rakes in most of its money this time of year and I certainly contributed my share to their bottom line by eating a pile of Russell Stover Hearts. 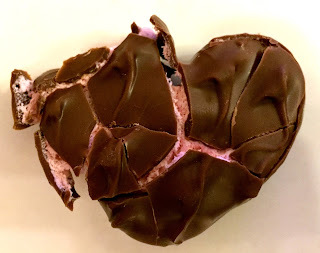 Biting through the milk chocolate shell into either strawberry, chocolate truffle or marshmallow filling always makes me thankful for holiday over-commercialization. I’ve sung the praises of special holiday Reese’s Peanut Butter Cups in these pages many times in the past so I won’t go into a lot of detail about why Old Man Reese makes the top candy out there but I will say that his Valentine’s stuff is the best of the best. This season I consumed all three sizes of Reese’s Valentine Hearts. The small ones have a prettier shape (which apparently matters to some people), thicker chocolate and less peanut butter. … but the peanut butter-to-chocolate ratio is much better for me. 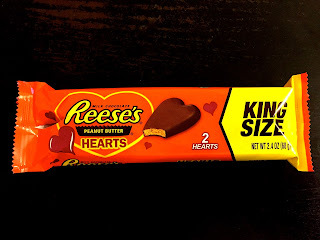 The King Hell Giant Reese’s Heart (at least that’s what I call it) is probably my favorite single candy item of all time. 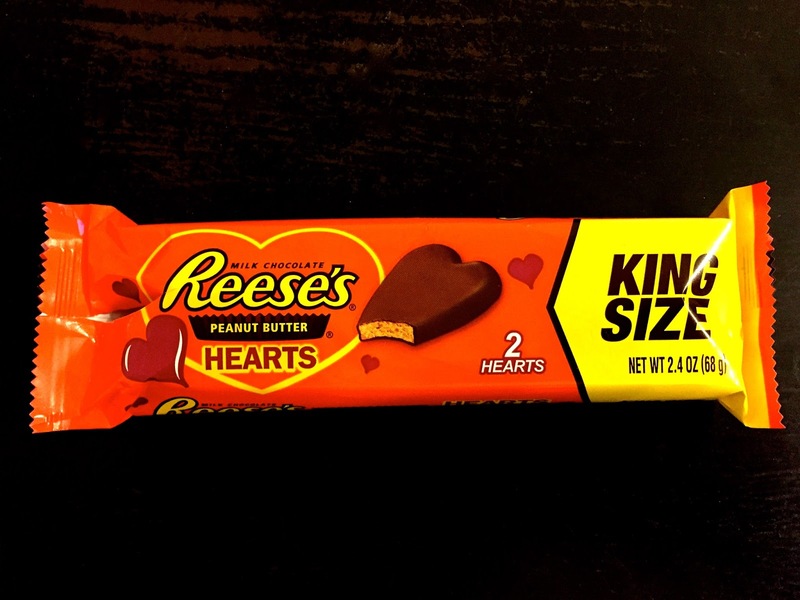 Saint Valentine should be worshiped for giving us this chunk of chocolate-peanut butter heaven-on-earth. All hail Saint Valentine! Yep. They just put a regular old bag of jerky into a fancy box and charged more. If that isn’t true to the original Valentine’s Day spirit, I don’t know what is. 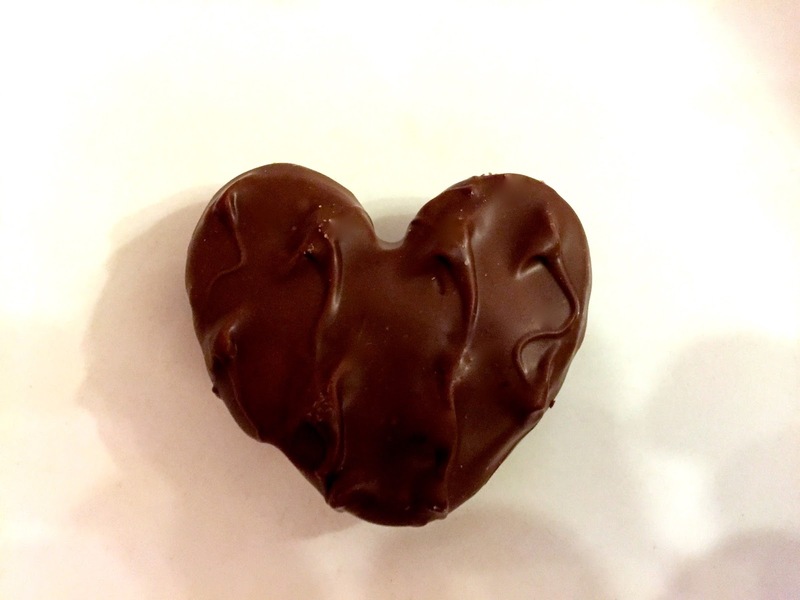 February 14th might be the second best candy holiday of the year. The first best is today, February 15th. All the same candy but now its on sale! Let’s go shopping! BONUS HISTORICAL FACT: Cupid became an official part of the holiday in 1588 when a demented, winged baby archer went on a rampage, shooting arrows into the hearts of random passers-by. This was known as the Saint Valentine’s Day Massacre. And now you know. Who needs school when you've got Junk Food Jones?